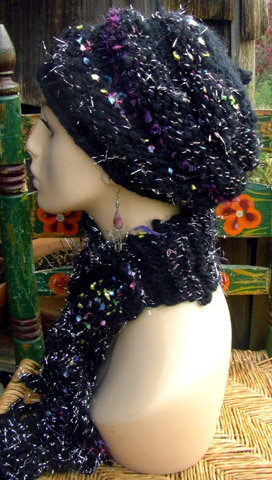 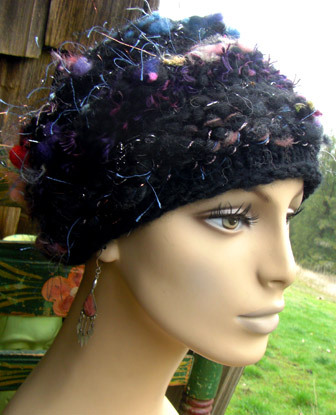 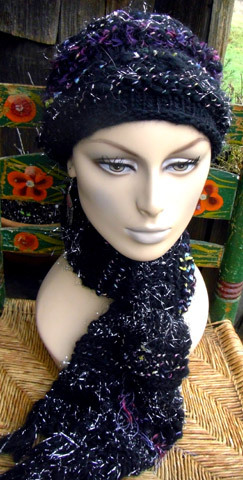 Both hat and scarf are made from black Corriedale wool with various novelty fibers added. 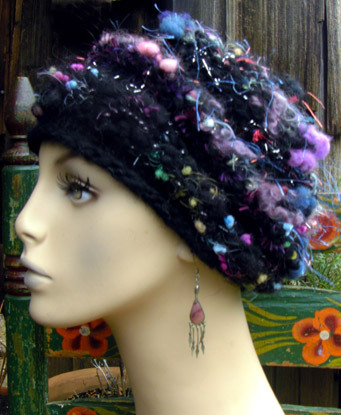 The hat has fuzzy stripes made from a blend of black Merino wool and malamute hair, some of which is also found in the scarf. 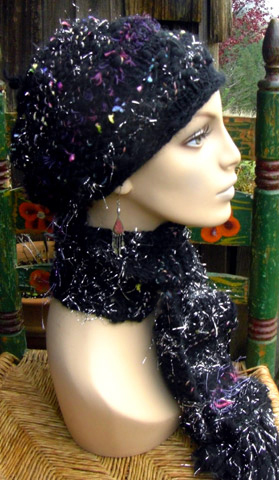 The sparkly stripes are black Corriedale wool plied with silver cord. 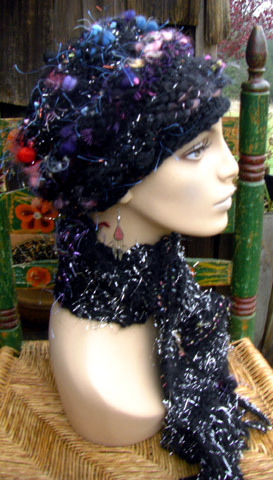 The two hats below were also made to go with the scarf, however, the scarf is now (SOLD) and I probably won't be making another like it.